We can’t wait to have adventures with your explorer during March Break or the summer! Learn about archaeology, First Nations, and Ontario history while making new friends and having lots of fun. Membership Benefits: Become an MOA Member and receive exclusive discounts and early registration on most camps. 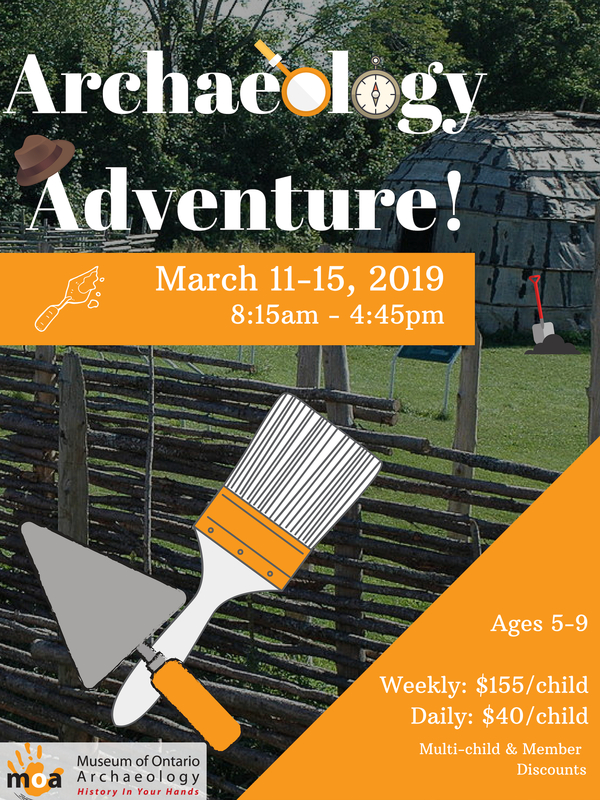 March Break Camp 2019 – kids ages 5 – 9 will enjoy a themed week of adventure as they explore the people, environment, animals, and history of the continent through games, activities, and crafts. You can register for the whole week, or come for a couple of days. 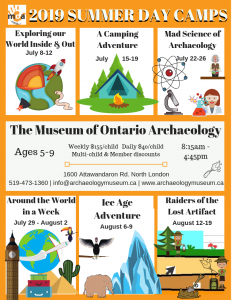 Summer Day Camp 2019 – a summer full of fun activities for kids of all ages in the London Ontario area. A new theme is offered each week to provide a variety of ways to explore and have fun throughout the summer. 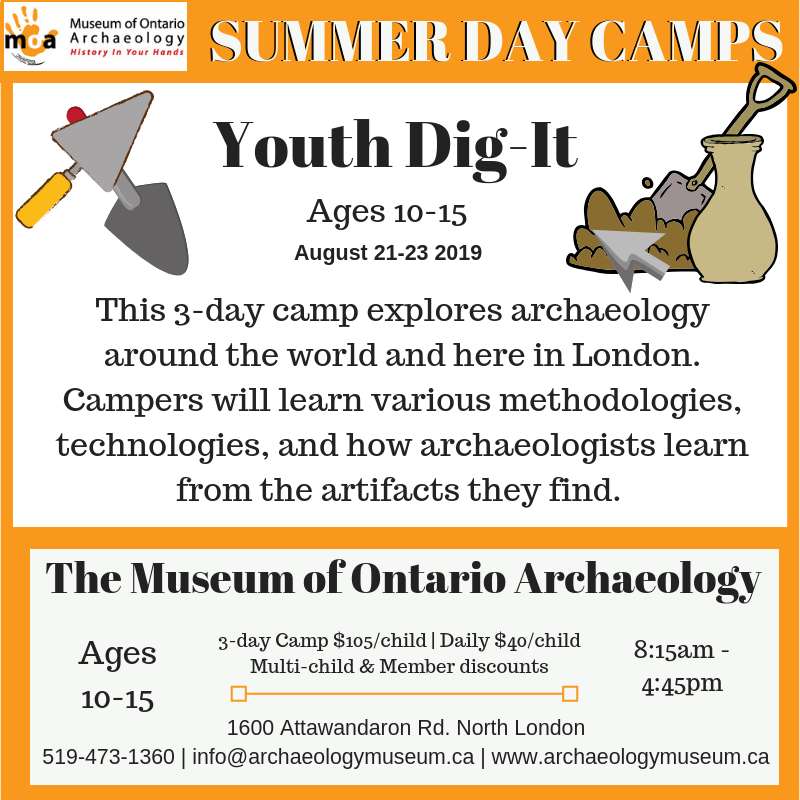 Youth Archaeology Camp 2018 – a three day camp for youth ages 10-15 to discover life as an archaeologist! Where are we located? The Museum of Ontario Archaeology is located in North London – near the intersection of Wonderland and Fanshawe Park Road. Already Registered? Here’s what you need bring to Camp!